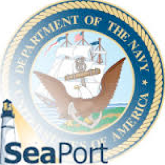 SCG supporting NOAA IT projects for more than 10 years for various line offices. 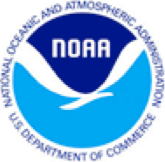 IT Support for Software, Web and Database Applications, Implementation and Maintenance and Database Administration for the NOAA Office of Marine and Aviation Operations Commissioned Personnel Center (CPC) and Office of Marine Aviation Operations Center (MOC). We designed and developed CPC Online a portal for the NOAA Corps Officers, this portal interfaces the existing document archiving system and enables the viewing of all the officer personnel files online. SCG provides database administration, system analysis and design for foreign agriculture services and Rural Utilities Services. Supported various database applications and evaluated legacy database systems for new applications development. Provided technical support and cost benefit analysis to migrate old databases and implemented new GIS systems and databases. At DOC, Our team is technical support interface for all server specific applications, including Oracle, Linux and Windows related software. We provide datacenter operations and backups and handle server configuration activities. Our technical support includes web server, and content management, upgrades, maintenance and development. As a sub-contractor, SCG team operates the Information Technology (IT) and customer support requirement, data center operations requirement, integrated cyber posture and cyber operations. SCG provides support and help desk side troubleshooting and corrective maintenance to the IT financial, administrative and operational systems. This support includes problem tracking and resolution, on-site repair, software loading and administration, and on-site training. Our support includes Design, Development and Systems Engineering. At HUD, SCG technical services are in support of HUD’s Internet/Intranet Websites. Designed and implemented with latest web technologies and optimized the usability of Websites and Web tools. Supported HUD’s event registration system and Event Management and Registration Control System to access intranet and public. Supported Department’s internal Websites, particularly HUDatwork.hud.gov and HUDConnect to allow HUD staff to quickly access the information. Developed and maintained Web applications with cost-effective solutions for immediate department needs. Our team at Citibank developed and maintained Financial Retrieving system using Oracle products. Developed and maintained Java application that supports customized Citibank financial system. SCG provided web-based documentation that accurately summarizes the architecture and use of applications. SCG provided consulting services to IBM, Implemented IBMs Web services Policy enforcements, including security policies and reliable messaging policies. Analyzed the requirements specified by IBM clients for website redesign. Evaluated the technical specifications, provided requirements documents based on IBM Technical manager’s scope statements. SCG developed applications and the content management templates as required for the site redesign.